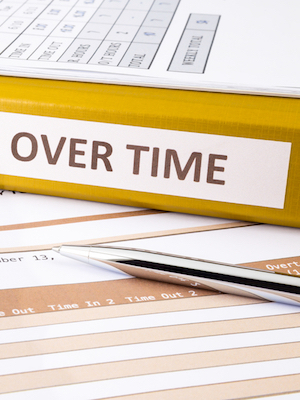 NEW ORLEANS – A technician is suing two employers, alleging they fail to pay overtime. Kyle Halle filed a class-action lawsuit Oct. 30 in U.S. District Court for the Eastern District of Louisiana against Galliano Marine Service LLC and C-Innovation LLC, alleging violations of the Fair Labor Standards Act. According to the complaint, Halle worked for both defendants as a technician for remotely operated vehicle (ROV) equipment, routinely working as much as 84 hours per week. He alleges the defendants do not pay ROV technicians overtime pay that they are due, but instead pay a flat rate per day, regardless of the hours worked. The class described in the lawsuit applies to ROV technicians employed by the defendants since Oct. 30, 2012. Halle seeks reimbursement of overtime pay for members of the class, a service award for Halle, interest and litigation costs. He is represented by attorneys Matthew S. Parmet and David I. Moulton of Bruckner Burch in Houston, Texas. Want to get notified whenever we write about Bruckner Burch PLLC ? Sign-up Next time we write about Bruckner Burch PLLC, we'll email you a link to the story. You may edit your settings or unsubscribe at any time.